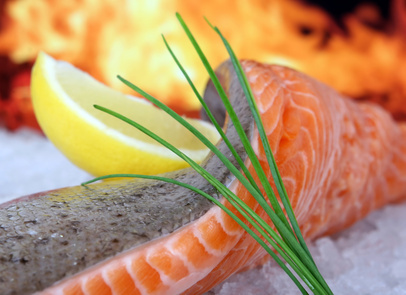 The omega 3 fatty acids in salmon are well studied for their anti-inflammatory properties. Eating just one 6 oz. piece of wild sockeye salmon provides over 2000 mg. of omega 3s. This recipe combines savory fish with aromatic fresh rosemary. 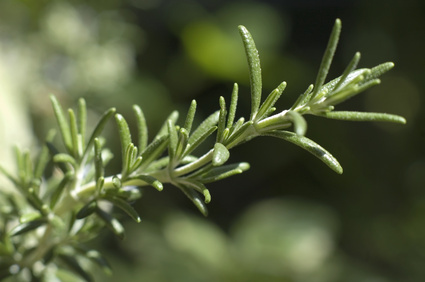 Antioxidant, neuroprotective and delicious, rosemary is one of my favorite spices. Who knew that being healthy could taste so good? Preheat your oven to 425 degrees F. Mix the minced rosemary and sea salt together in a bowl. Rinse the salmon fillets, pat them dry and place them skin side down on a baking dish. Brush each fillet with oil and sprinkle it with the rosemary-salt mixture. Place the fillets in the hot oven and bake for ~ 10 minutes. Baking time will vary depending on the thickness of you fillets and how well done you like your fish. Serve the salmon with a green salad or steamed vegetables and Creamy Cranberry Dressing (recipe below). For an attractive presentation, garnish each fillet with fresh rosemary before serving. Serves 4. Note: You can use this recipe for a large whole salmon fillet. If you are using a larger piece of fish your cooking time will increase accordingly. Cranberries are a nutritional powerhouse. Their dark pigments have antioxidant and anti-inflammatory properties. They are high in fiber, low in carbohydrates and contain beneficial compounds that support a healthy bladder. This creamy dressing combines cranberry juice with nuts and flax for additional benefits. This is also a great dressing for anyone who is sensitive to vinegar or citrus. Place the nuts and cranberry juice in a blender. Secure the lid and start blending on the lowest setting, gradually increasing to the highest. Blend until the nuts are pureed to a smooth cream. Turn the blender down to medium speed and add the salt. Then slowly add the oil in a thin stream. The dressing should be smooth and creamy after all of the oil is added. Store the dressing in a glass jar; it will keep in the refrigerator for up to 1 week. Makes 1 ¼ cups.